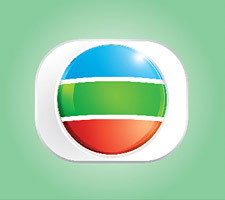 (10 April 2019) Television Broadcasts Limited (TVB) got another victory in its fight against copyright infringement in Australia. TVB has successfully applied to the Federal Court of Australia to block a further 23 online locations which had moved their domain names to get round the site-blocking order granted by the Court in September last year. “We will be relentless in our efforts to combat overseas copyright-infringing activities. We will go after the pirates no matter where and how they flee. TVB Anywhere is the sole legitimate set-top box in Australia carrying TVB contents. Viewers should not use illegal boxes or apps to protect their consumer interests,” said Desmond Chan, General Manager, TVBI Company Limited. On 20 September 2018, TVB won a landmark copyright infringement case in getting the Australian Federal Court to order internet service providers (ISPs) in Australia to block illegal set-top boxes. Justice Nicholas said in his judgment that the primary purpose of the illicit streaming set-top boxes was to facilitate the infringement of copyright by making such material available in Australia without the consent of the copyright owners. ISPs including Telstra, Optus, Vocus and TPG must take steps to block illicit set-top streaming boxes for viewing TVB’s television broadcasts in Australia. Some pirates had since moved their domain names to get round the site-blocking order. On 29 March this year, Justice Nicholas ordered the ISPs to block a further 23 target online locations and were carried out today.